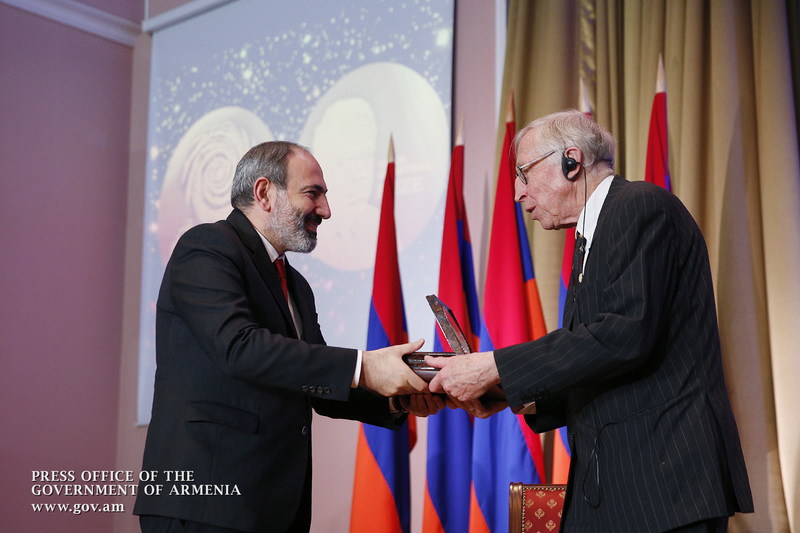 It is the fourth time that Armenia makes itself known by awarding one of the world’s most prominent scientific awards – the Academician Victor Hambardzumyan International Scientific Award. In this way, we are paying tribute to the world’s greatest scientists. 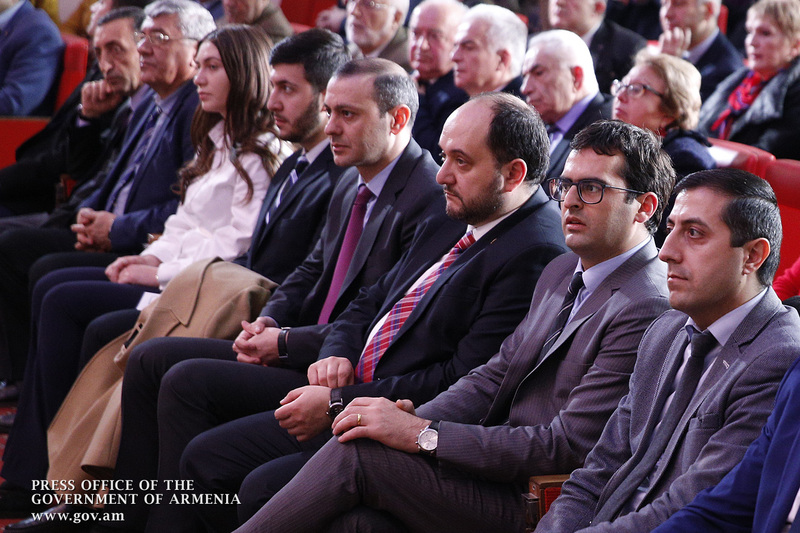 As a leader of the country and as a simple Armenian, I have a great honor and pleasure to be a participant of this event. We are fully aware of the importance of upholding the award’s reputation. 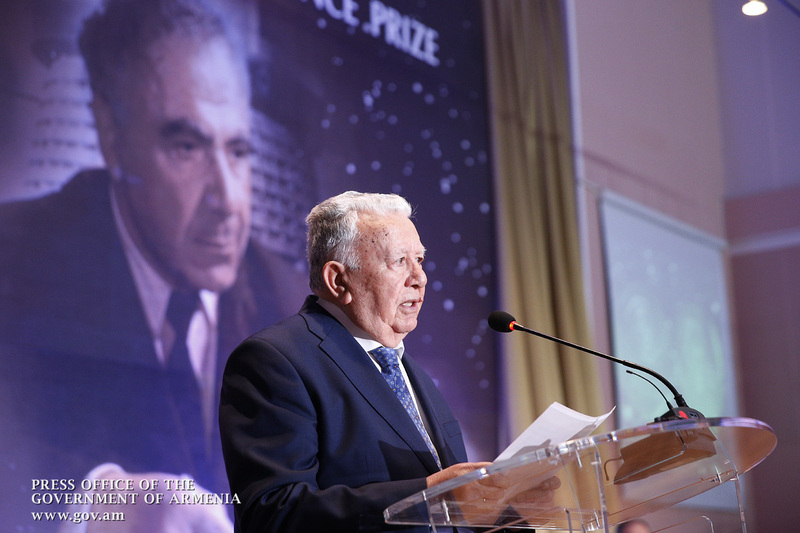 Its value is made up of the scientific community, the names of prominent scientists who will become laureates and will occupy their worthy place next to Victor Hambardzumyan’s glorious name. The more qualified are the prize winners, the higher his reputation will be. The scientific expertise of the presented works is entirely entrusted to the International Commission, whose members are world-famous and at the same time very impartial scientists whose decision depends on the choice of the winners of the year and the further strengthening of the award’s reputation. It is enough to say that the Commission consists of Nobel Prize winners, the previous two presidents of the International Astronomical Union and a number of other well-known astronomers. I recently read a publication in Russian press stating that Victor Hambardzumyan’s prize stood for the Nobel Prize in astrophysics. I think this is a very important and precise definition. 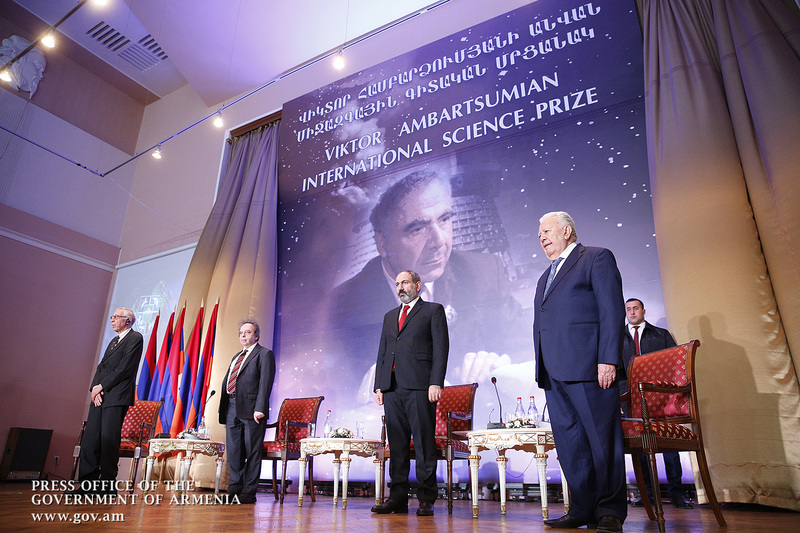 Victor Hambardzumyan was devoted to real science. His inexhaustible diligence was added to his genius, and thanks to the harmonious combination of these two factors, the glory of Byurakan Observatory created by him soon spread all over the world, while astrophysics and accurate sciences boasted a sharp rise in Armenia. 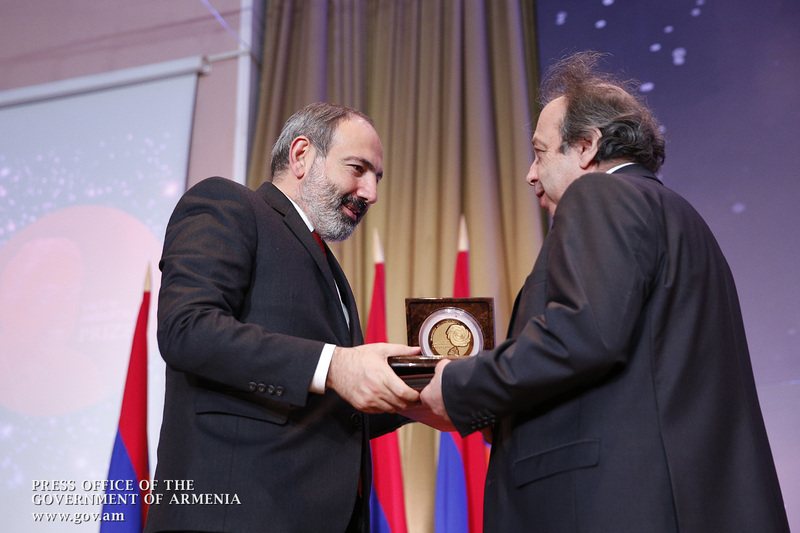 Many keep asking how come a small country like Armenia has set such a great scientific award. 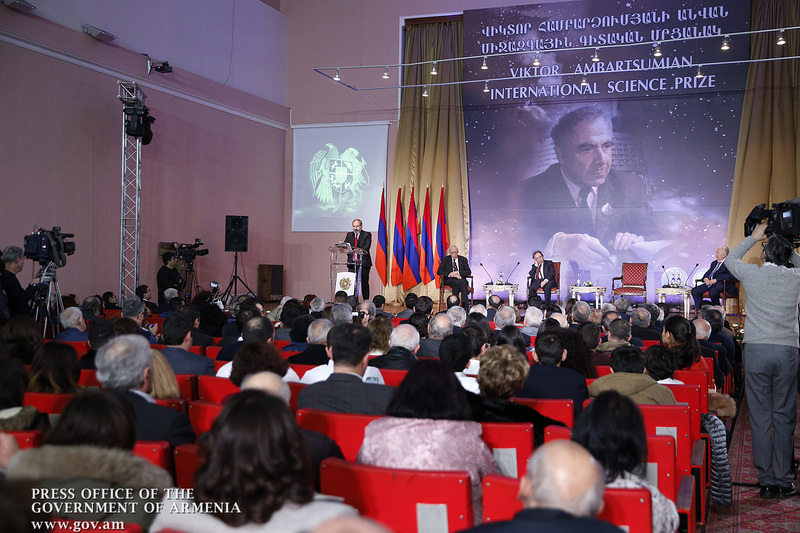 Being a newly independent state, Armenia continues to attach great importance to the development of science and has its own place among the leading countries. 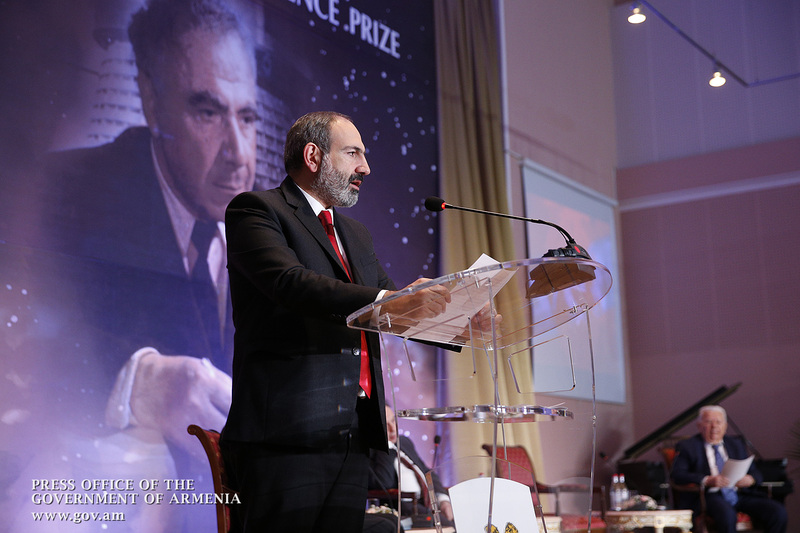 Together with this, we understand that there is still much to do in our country for scientists’ the effective work in terms of ensuring a dignified life for them, supplying research centers with modern equipment, training qualified specialists and, in general, developing fundamental research in our country. 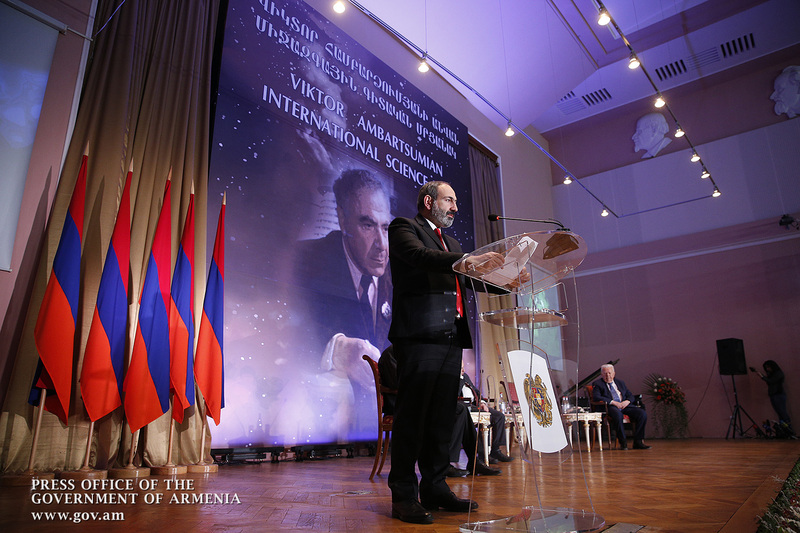 As the head of the country, I will try to foster respect and appreciation for science and scientists in Armenia. Let me mention that in order to increase the amount of trust in the prize, all the costs associated with the award have been included in the State budget this year. 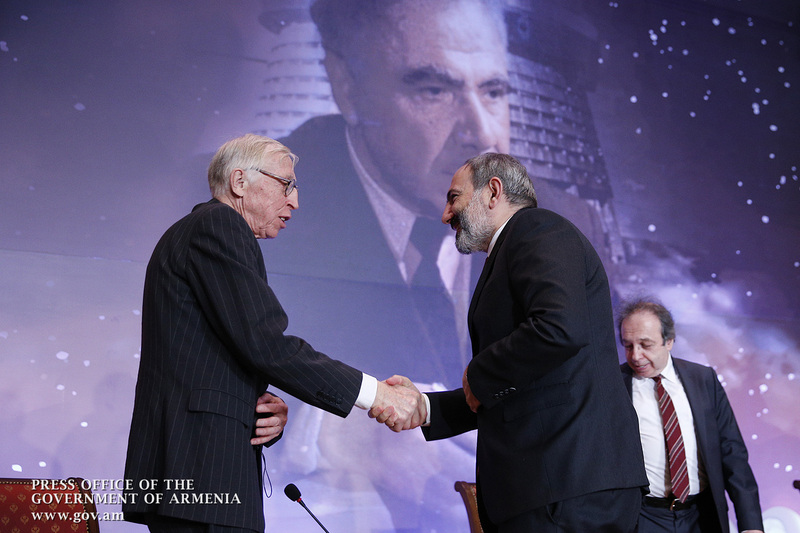 This year’s laureates of Victor Hambardzumyan International Prize are Professor Edward van den Heuvel (The Netherlands), Professor Alexander Tutukov (RF) and Professor Lev Yungelsson (Russia). They all work on the most advanced front of modern astronomy, and all three are the authors of numerous scientific discoveries. The presented work has been subject to strictest and most sophisticated scientific expertise and has been repeatedly discussed by the International Commission. 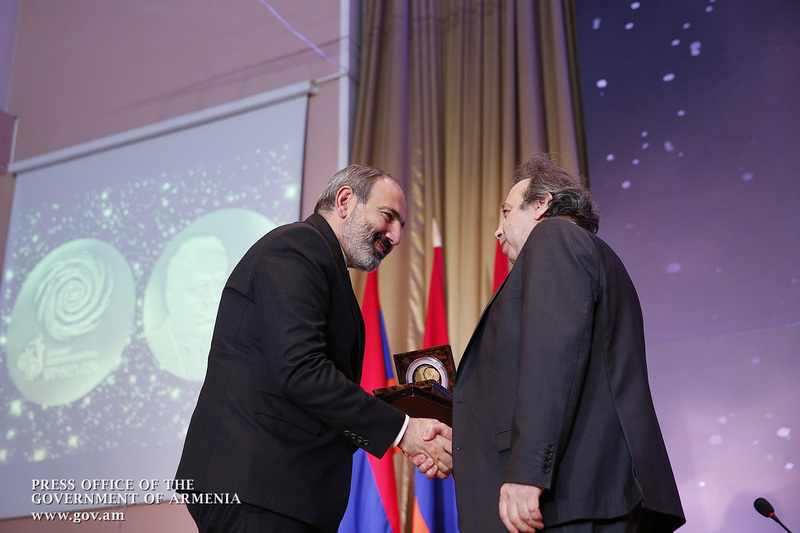 Prime Minister Pashinyan handed Victor Hambardzumyan Prize to Edward van den Heuvel, Professor at the Anton Pannuck Institute of Astronomy by the University of Amsterdam, Professor at the Astronomy Institute by the Russian Academy of Sciences Alexander Tutukov and Professor of the Astronomy Institute by the Russian Academy of Sciences Lev Yungelsson. 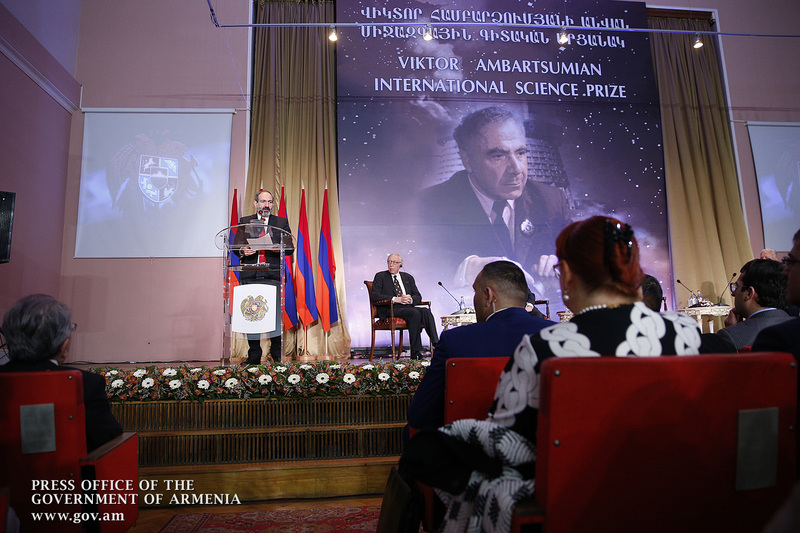 Academician Victor Hambardzumyan International Scientific Award is one of the most important awards in astronomy, astrophysics and related sciences. It is awarded to prominent scientists who have made a significant contribution to physics and mathematics in any country and nation. The prize has been awarded every 2 years since 2010. 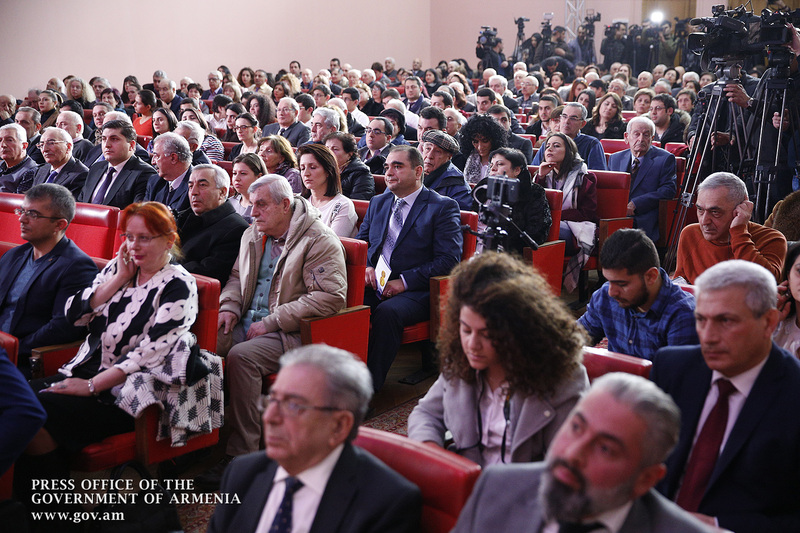 In 2010-2016, the Government of Armenia set it at USD 500,000. In 2018, the amount was reduced to USD 300,000. 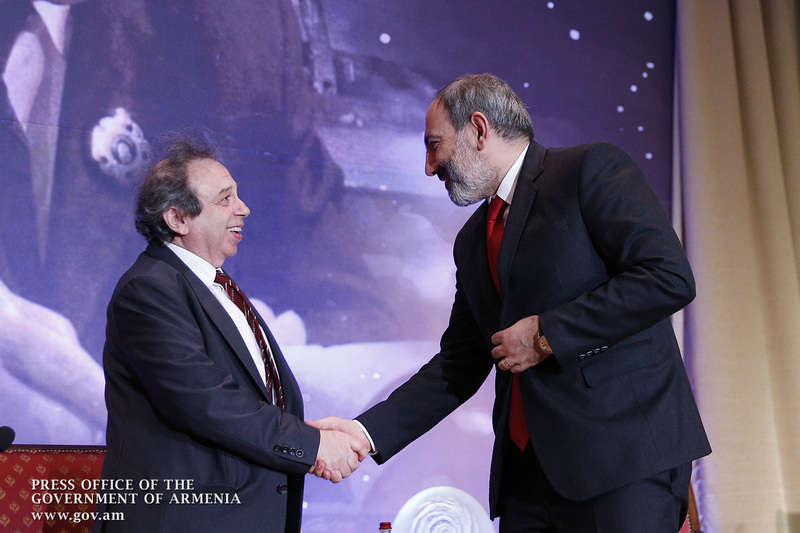 The prize includes an honorary diploma, a badge and a relevant certificate, USD 200,000 in financial reward, and USD 100,000 worth of cash funds to be used for further development of astrophysics, physics and mathematics in Armenia over the next two years following the award.